Guatemala’s population suffers from low-quality education due to a lack of teachers. In rural areas in particular, no state support means school infrastructure is lacking – few (or sometimes no) teachers are available. As a result, indigenous Guatemalans are highly disadvantaged, making building schools in rural villages absolutely essential. We believe that only full and free access to education, for all people, will enable social change, lead to sustainable development, and foster a self-determined way of life. The Escuela Oficial Urbana Mixta San Antonio is a school center consisting of one pre-primary, one primary, and two secondary schools. Currently, the 525 pupils in attendance share 10 classrooms, leading to significant overcrowding. The school’s Committee of Parents sent its official application to Esperanza e.V. and asked for an extension to the building. Three additional classrooms will be built to create an adequate learning environment. The new construction will ensure smaller class sizes and allow more space for the high-demand classes. To foster local ownership of the school building project, parents and the village committee are involved in the construction. In addition to the architects, representatives from Esperanza e. V. regularly visit the school to oversee the development. The architect, Luis Alberto Palacios, is available on-site to host donors and share details about the building’s history and the indigenous community. The Acronis school construction in Lebanon is nearing its end despite the harsh weather conditions this winter. This coming spring 250 Syrian refugee children will attend the new school. 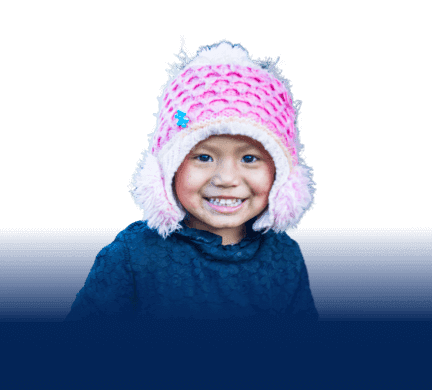 The Acronis Foundation and Cloudfest, the world’s largest cloud and hosting event, joined forces to fund a school construction project in Guatemala, successfully raising nearly 22,000 Euros, through the generous donations of individuals and service providers attending the event. Acronis Foundation offers a wide variety of interesting positions, from national voluntary service to entry opportunities.